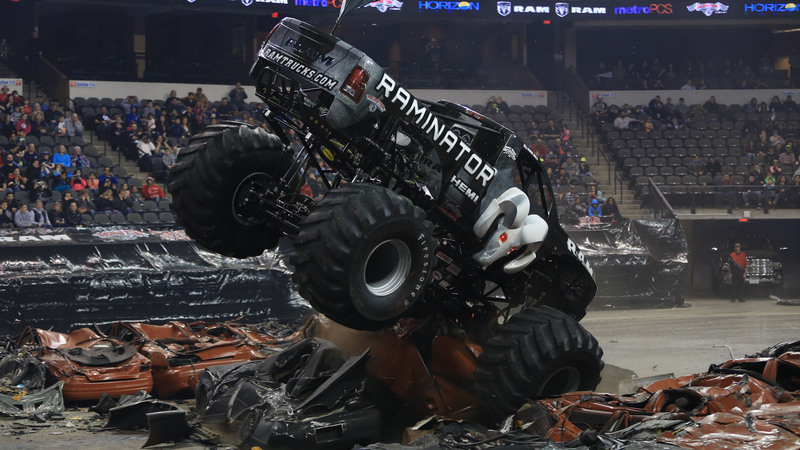 Feel the thunder as monster truck drivers put their pedals to metal, spinning wildly in tire-smoking donuts, popping wheelies and hurtling into the air at the Monster Truck Nationals. Watch in awe as these metallic beasts do death-defying tricks, like the “Kiss of Death,” “Cliffhanger” and 35-foot backflips over a 75-foot gap. Ever wanted to ride in a one of these? Here’s your chance – adults and kids can take a ride on the wild side aboard a monster truck. Book nerds unite to show off their knowledge at American Writers Trivia. Compete as a team or individually for a chance to win one-year museum memberships, swag and other prizes. Saturday is International Holocaust Remembrance Day. Mark the occasion by visiting a newly opened exhibit dedicated to the largest and symbolically most important Jewish uprising in German-occupied Europe. “The 75th Anniversary of the Warsaw Ghetto Uprising” tells the stories of those who led the uprising and survivors who lived through the resistance. Details: Friday through Feb. 8. Prix fixe menus start at $22 for brunch or lunch; $33-$44 for dinner. Hours and locations vary. You don’t have to wait till spring to enjoy the Jefferson Park Sunday Market. Browse the stalls of more than 15 vendors, selling everything from seafood to coffee and pastries. Singer-songwriter David Smith provides musical entertainment, and a noontime story keeps little ones entertained. Cast a line at an indoor fly fishing pond, learn new techniques and watch trick casting demonstrations at the Chicagoland Fishing Travel & Outdoor Expo. Be sure to check out a 5,000-gallon fish tank filled with bass and pan fish, as well as exhibits featuring birds of prey, snakes and reptiles. Ever wondered how an artistic collaboration unfolds behind the scenes? Take a peek into the creative process in real time at Las Ideas, presented by Federico Leon and his collaborator Julian Tello. Using video projections, instruments and games, the duo develops working material to incorporate into the performance taking place. Winos, this one’s for you: 90 global vintners and more than 250 wines are yours to sample at D’Vine Affair, an annual charity event for the Catholic Charities self-sufficiency programs. Highlights include a wine tasting seminar, live auction of a barrel of wine (that’s 300 bottles!) and a craft and imported beer tasting room.